This scheme is for professionals who are seeking to live, work and settle down in the EU zone, this scheme offer the opportunity to the non-EU skilled migrants to come to Denmark under the three year Green Card permit with an intention of finding the job. And after you get the job, you will be issued a Denmark Green Card, and that would be your authorization to live and work in Denmark or any other EU nation. This is an excellent chance for the professionals who are looking to start a great career and life in the European Union. Danish firms are facing shortages in getting potential workers in many important fields. With this program, the individual would get a chance to settle down and work in the country or in any other EU nation. Under this scheme, the applicant would be issued a temporary residence permit for the period of three years. One could also apply for its extension for one year. The individual could also apply for extension of up to four years. Residence Permit could be extended if the applicant had worked for a year and, at least, ten hours per week. Immigrating to Denmark under this Green Card Scheme entitles an individual to obtain the status of permanent residence in seven years. After acquiring the PR, the immigrant is eligible to do the job across the EU regions. The holders of this Green Card Scheme could also travel in the entire Schengen nations without a need of visa. The Danish Green Card Holder could also bring their family members here in the country to obtain the PR. This scheme would allow you to reside and do work if you could score points based on the conditions such as language skills, job experience, age and education. If you score minimum 100 points, then you could get a permit of residency which would be valid for 18 months. Furthermore, you would be allowed to bring your family along with you. Apart from scoring points, you should also get the valid health insurance policy and should also provide that you could support yourself and your family while looking for job. You should have done master degree which is compulsory if you want to apply for Denmark. 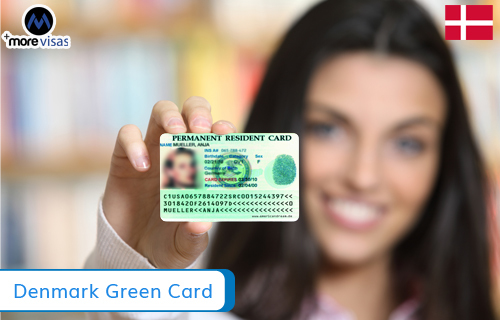 Masters in Technology, Computer Applications, and Pharmacy are some of the fields through which you could get points while applying for Denmark Green Card. You can also earn bonus points if your education succeeds you to do the job in the field where Denmark is presently facing shortage of experienced professionals. You could also earn bonus points if have acquired a Bachelor or Master Degree or have done PhD from any of the renowned universities of the world. Obtaining the points for language skills, you should show that you had passed an exam in Danish or any other language like English, German or Swedish. You can also score points for your job experience, and you can also score points on your age. You can also receive bonus points for pursuing education or doing job in the EU or EEA or Switzerland. If you have completed your studies in any European or Schengen nation or had done job for one or two years, you could get adaptability points. Your spouse is also eligible for residence permit and would also be permitted to do full-time job, once you get the residence permit under this Scheme for Denmark Green Card. If you want to apply Denmark Visa, please fill out our Enquiry Form, so that one of our visa expert will get back to you.